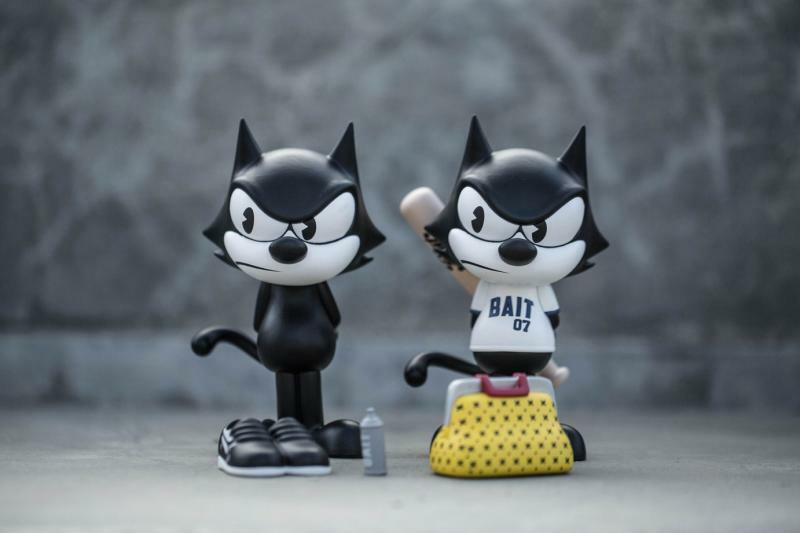 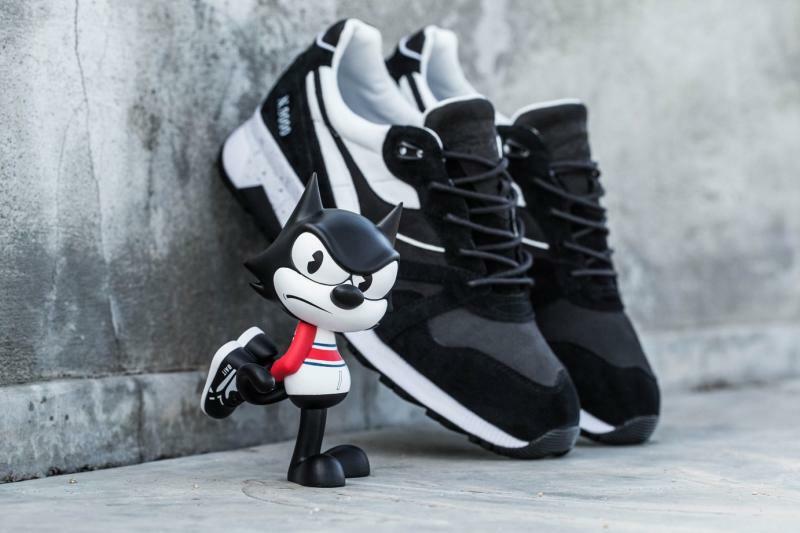 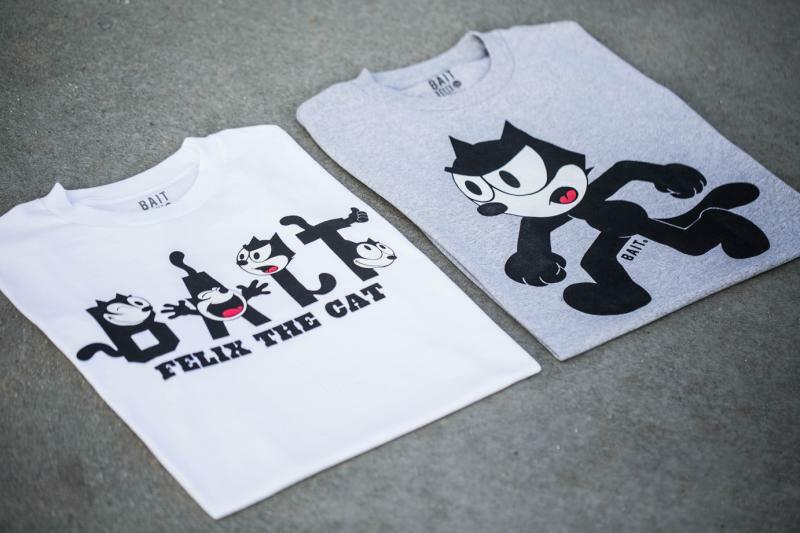 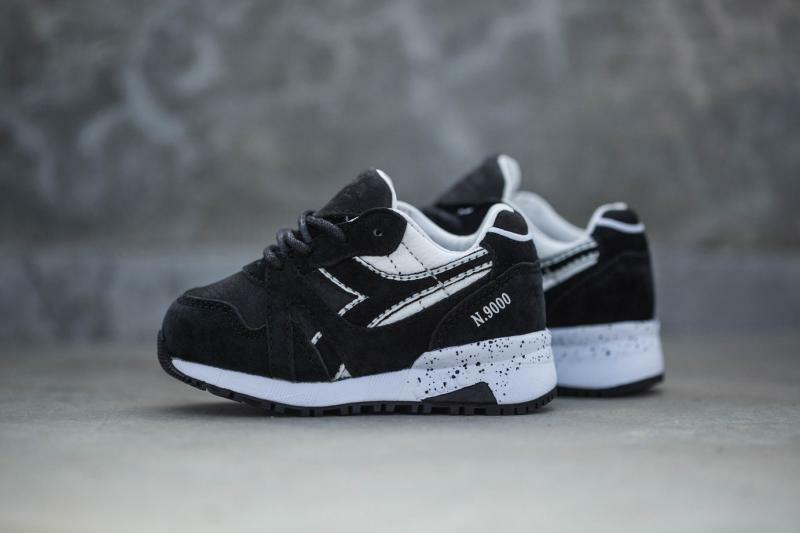 We've seen BAIT, Dreamworks and Diadora come together to create sneakers dedicated to Shrek, Where's Wally and Kung Fu Panda, but now they have come back to introduce their Felix the Cat themed sneaker on their N9000 silhouette. 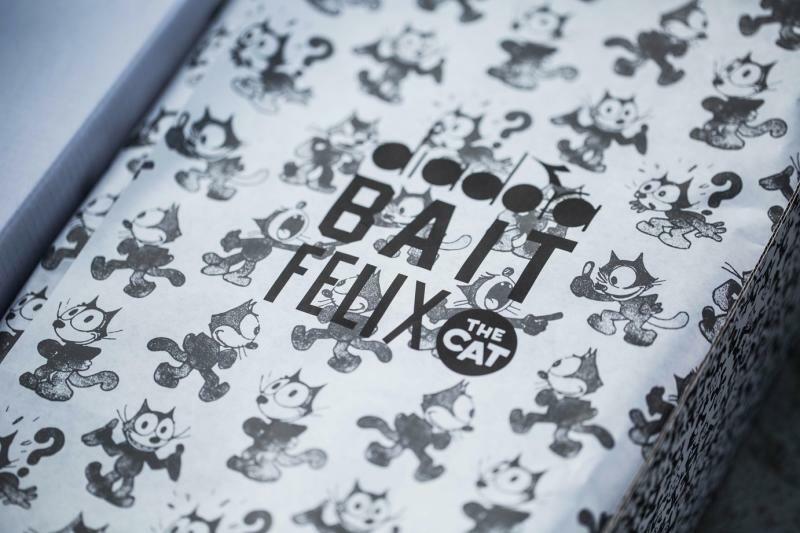 The shoe features materials like premium suede, leather and nubuck with a black and white color combination throughout the whole sneaker to commemorate the iconic feline cartoon. 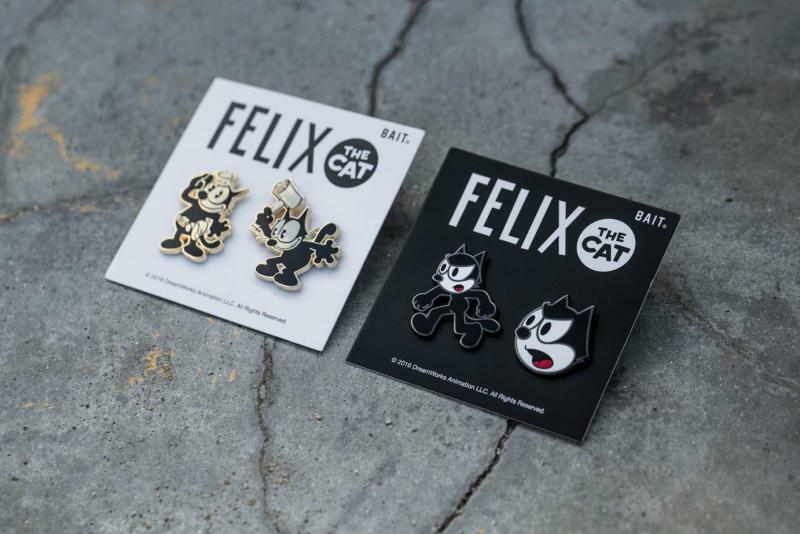 This isn't any ordinary sneaker release — it's a capsule collection also featuring pins, t-shirts, figurines and an exclusive 400% Bearbrick. 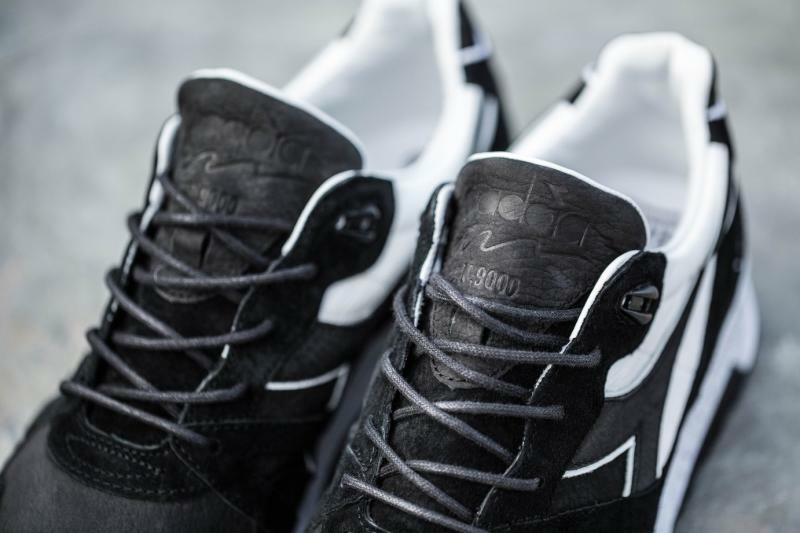 The highly anticipated sneaker is releasing in an extremely limited quantity of only 500 pairs in both adult and kid sizes. 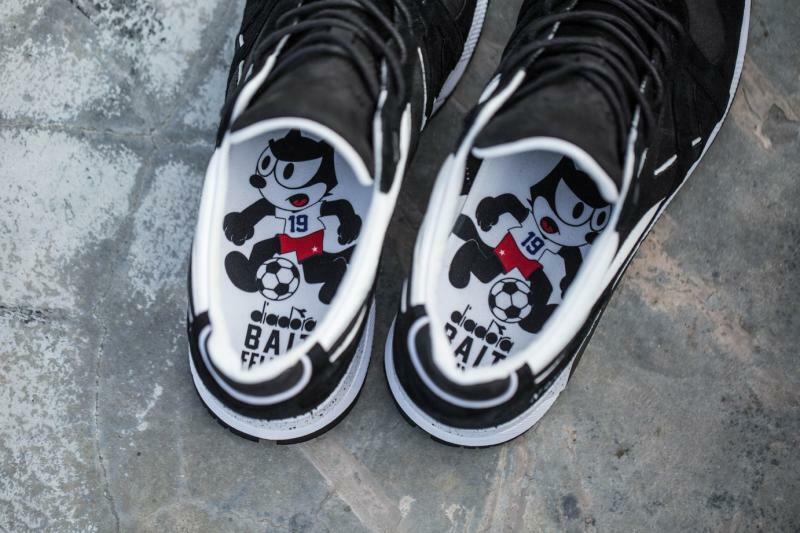 You can try to cop a pair at the BAIT booth at the San Diego Comic Con on Saturday, July 23rd or you can enter the online raffle here.